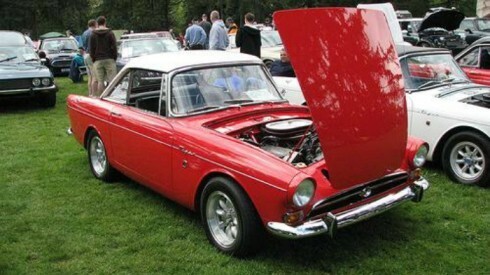 The Vancouver All British Classic Car Show is one of the premier car shows in Vancouver for classic auto enthusiasts. The event usually runs in May of each year, and with lots of classic cars and great awards up for grabs, it’s always a fun time for motorheads everywhere. If you’re a classic auto anorak, there’s no need for argy-bargy over which car show to visit. Check out the very spiffing All British Classic Car Show and see why Vancouver loves British lorries from boot to bonnet! 2014’s car show will feature ten awards categories for exhibitors. The awards are open to motorcycles and autos in any condition – including restored autos, modified autos, and racing autos. The awards will be given based on the quality of restoration work that the cars and motorcycles show. Awards categories will include Best Modified Car, Best Motorcycle, Best Race Car, Best Original Car – Unrestored, and Best Debuting Restoration. Expert auto judges Joan and Patrick Stewart and Morris Calvert will judge these awards. Other awards categories include Most Elegant Car, Neatest Little Car, and Entrant’s Choice Overall. The Long Distance Driver Award will be given to the entrant who drove their pre-1987 vehicle the longest distance in order to attend the festivities. There is also a Youngtimer Entrant Award for contestants who are 25 or under, as well as Best Picnic & Period Dress Award for those who want to create a unique British costumed picnic. The All British Classic Car Show will also feature several draws for entrants, each with its own great prize. Entrants will be eligible to win a return trip for two to Great Britain, a return trip for two to Victoria that includes hotel accommodation, a cash prize of $100, or one of several cash prizes for people who took advantage of early-bird registration. Registrants who entered prior to January 31 will be entered into a draw for $80. There will be a similar $75 draw for registrants who entered prior to February 28, a $65 draw for entrants who registered prior to March 31 and a $55 draw for entrants who registered prior to April 15. In the 2014 edition Sunday, May 18 will be the day of the All British Whistler Run, an event that no car enthusiast can afford to miss. Participants will drive their authentic British vehicles along the Sea-to-Sky Highway to Whistler’s Olympic Plaza Village Centre. The Whistler Run starts at 8:30 AM at the Park Royal Shopping Centre in West Vancouver, and once the flag drops, participants will drive 120 km to Whistler at their own pace, arranging pit stops at their own discretion. The first 150 cars to arrive will be part of the Olympic Plaza display. Afterwards, the Brewhouse Pub will play host to a discounted lunch that will also feature awards and draw prizes. The fee to participate is $28, and participants will receive a commemorative plaque. The 2014 All British Classic Car Show is just one of many great car shows in Vancouver, and is fast approaching. If you’re a British car enthusiast, this is one event you can’t miss. For more information about the car show, or to register your classic British automobile, contact Western Driver Magazine at www.westerndriver.com.